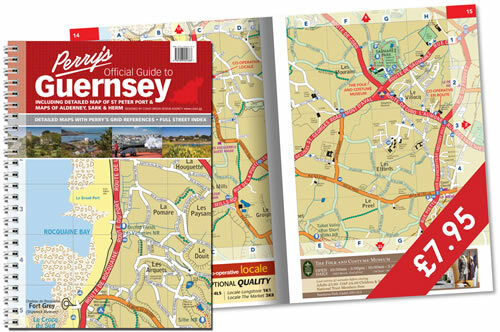 Perry’s publications are recognised throughout the Channel Islands as the definitive island maps and guides. Originally drawn in 1967 by Roy Perry, the maps use a unique grid system which has been adopted as the official map references locally. The original pocket sized guide is so widely used that the word Perry’s has become part of the local lexicon, like a biro or a hoover has elsewhere. Originally published as an A5 sized pocket street guide, the maps are now reproduced in many formats, ranging from wiro-bound street guides, through fold-up tourist maps, to large scale wall maps.